Welcome, friends…to the world of tomorrow! Which is to say, to a crazy, wacky, mixed-up world, the kind of place where reality TV stars are presidents, and you can watch Futurama on Hulu, instead of Netflix. The streaming service made the latter announcement earlier today, revealing that it’s signed a deal to become the beloved sci-fi comedy’s new streaming home, effective next Monday. Hulu’s acquisition includes every season of the show, pre-and-post-resurrection, plus the direct-to-DVD films. 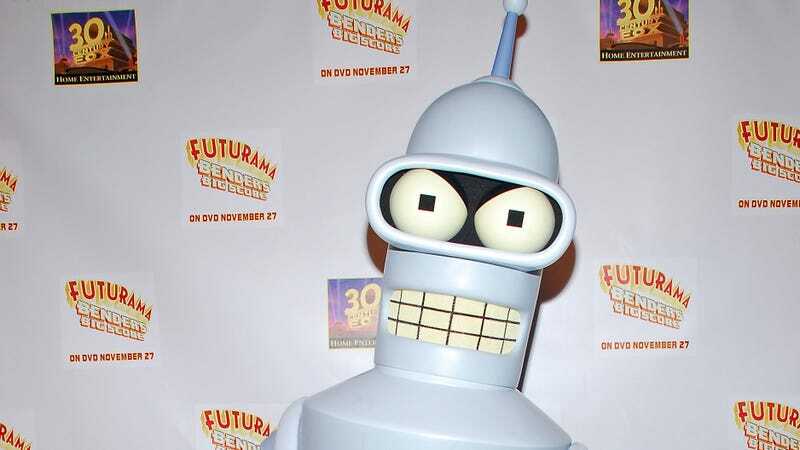 There have been big doings afoot in the Futurama distribution world of late; Syfy made a similar announcement earlier this month, starting with a marathon broadcast of the entire series scheduled to begin on November 11. Given that Futurama remains one of the greatest “turn off your brain, stream, and relax” shows of all time, meanwhile, it’s hard to fault Hulu for wanting to get in on the fun.